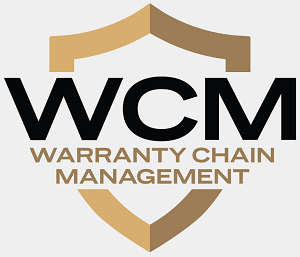 WCM Conference Preview, Part 2: Travel plans are being made for the 14th edition of this annual warranty and service contract industry conference, which opens in less than two weeks. The agenda this year is a mix of both returning favorites and new topics suggested by both presenters and attendees at past conferences. WCM Conference Preview, Part 1: The workshops are filling up, and travel plans are being made for the 14th edition of this annual warranty and service contract industry conference. The agenda this year is a mix of both returning favorites and new topics suggested by both presenters and attendees at past conferences. 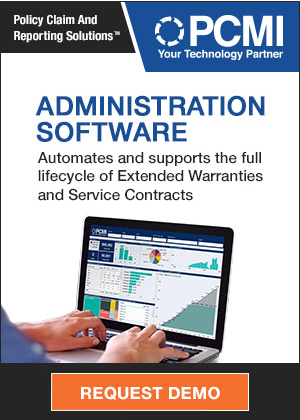 Telecom Equipment Warranty Report: Some of the four very different segments of the telecom equipment industry are better at reducing their warranty costs than others. But the biggest trend over the last decade has been the contraction of the U.S.-based part of the industry, and the rise of European and Asian competitors in their place, except for the Internet/data and broadcasting/cable TV segments. Warranty Estimates, Part 3: Companies in the building trades are supposed to carefully estimate the size of their warranty liabilities. But sometimes, their estimates are too low, and the amount they set aside is too meager to pay all their expected claims. Warranty Estimates, Part 2: Automotive companies are supposed to carefully estimate the size of their warranty liabilities. But sometimes, their estimates are too low, and the amount they set aside is too meager to pay all their expected claims. Warranty Estimates, Part 1: Companies are supposed to carefully estimate the size of their warranty liabilities. But sometimes, their estimates are too low, and the amount they set aside too meager to pay all their claims. Solar Warranties, Part 1: They can last up to 25 years, but what does that really mean when the technology is changing so fast? And even if a company really expects to pay claims in 2036, how do they prepare for them now by making the right amount of accruals at the time of sale? Warranty Adjustments, Part 3: While all exporters must deal with foreign exchange fluctuations, some companies seem to be affected more than others. In fact, when compared to other warranty metrics, some of these fluctuations are huge. Is that caused by the unique nature of their businesses, or is it a sign of sloppy warranty accounting? Warranty Adjustments, Part 1: When a company discovers it has more in its warranty reserve than is needed, it can withdraw the excess funds and add them to profits. Some of these financial adjustments can be huge, and can help dress up an otherwise disappointing financial report. WCM Conference, Part One: With less than two weeks until the annual WCM Conference opens in San Diego, we take a look at some of the major themes expected. And almost every speaker has the same advice: don't try to do it alone without help from some of the warranty industry's experts. OEM Warranty & VSCs, Part 2: As we continue our tour of the vehicle service contract industry, we find that some of the cars the contracts cover are being made better than before. Still, it's increasingly the fortunes of third party administrators and underwriters that will be most directly affected by the reduced need for VSCs.